Astronomers have been building telescopes in extreme locations for decades, sacrificing accessibility and comfort for better observing conditions. No location is more extreme than Antarctica, home of the South Pole Telescope (SPT), an instrument designed to observe the Cosmic Microwave Background – light from the universe when it was only 300,000 years old. Matt Young, a PhD student in the department of astronomy and astrophysics at the University of Toronto, travelled in November to the Amundsen-Scott South Pole Station for the second time in two years to work on the SPT. 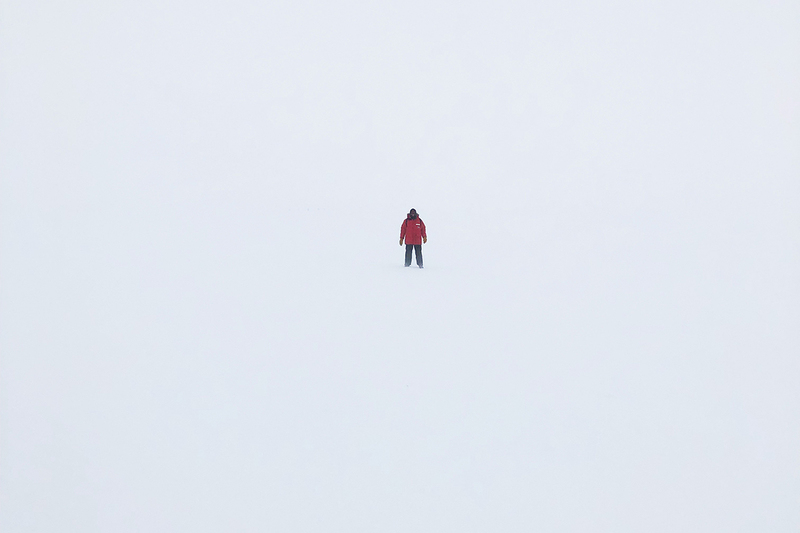 Via emails from the South Pole, Young spoke to Chris Sasaki of the Faculty of Arts & Science about what he was working on and what it was like to work and live for two months in one of the most inhospitable locations on Earth. I've been interested in astronomy for as long as I can remember. I was really lucky growing up in Western Australia, where the night sky can be breathtaking, and I spent countless nights as a kid just lying on a trampoline, staring at the stars. Growing up, I’d always wanted to be a scientist, and as an undergrad I studied both astrophysics and engineering. Then, towards the end of my undergraduate studies, I learned I could use the skills I gained as an engineer in the scientific field I was passionate about. So, after an exchange program in Canada, I decided to pursue my graduate studies in astrophysics at U of T.
My two main research interests are cosmology and instrumentation, and working on the SPT combines both. Cosmology looks at the universe as a whole – its birth, its evolution, and everything in it. Astronomical instrumentation covers the huge array of different telescope and camera technologies we develop and use to study the universe around us, from radio telescopes in remote deserts to X-ray telescopes orbiting in space. This year, we're working on upgrading the SPT’s new camera that was installed onto the telescope in early 2017. Several of the detectors are being replaced with improved versions that we developed over the past year. We’re also installing a new structure for holding the camera’s detectors and electronics. The detectors and electronics are extremely sensitive to vibrations and small changes in temperature inside the camera and the new structure drastically reduces these effects. What’s it like down in Antarctica? I feel incredibly lucky that my grad studies have allowed me to visit somewhere very few people will ever have the opportunity to go to. And while the South Pole is an incredible and special place, it's comforting that most people who live and work here are regular people who’ve simply decided to take a job at the bottom of the world. This mix of people from all sorts of professions and backgrounds really helps build a supportive community that makes the South Pole feel like a home – something that's very important when most people live here for months on end. On my first trip down last year, I really got to appreciate the novel experience of setting foot at the southern-most point on the globe, and marvelled at the expanse of flat ice and snow that extends for hundreds of kilometres in every direction. For my visit this year, I had a chance to get more involved in the South Pole community. So, while just setting foot at the South Pole is an incredible experience in itself, the opportunity to be a part of this amazing and hard-working community is the best part of the journey.